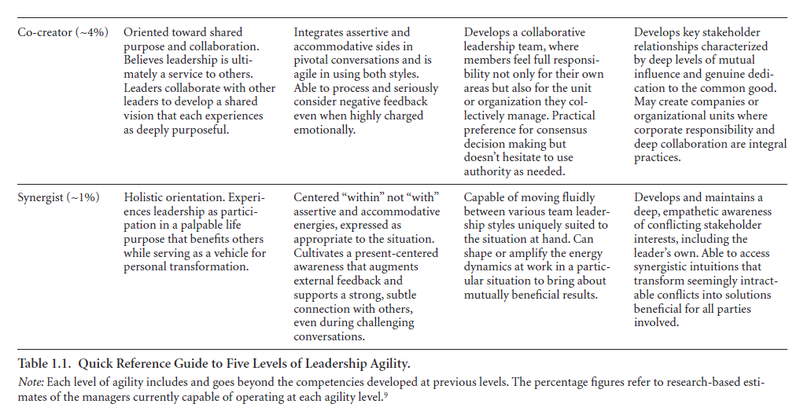 Just finished reading Leadership Agility: Five Levels of Mastery for Anticipating and Initiating Change by Bill Joiner and Stephen Josephs. It’s a fairly well-written leadership development book offering a very compelling framework for assessing your leadership level and identifying the competencies you need to develop in order to evolve your leadership to the next stage. Even though the authors acknowledge that there’s more to leadership than anticipating and initiative change and therefore keep the focus on “leadership agility”, given how much of a leader’s role is anticipating and initiating change, I view this as a book about leadership, period. 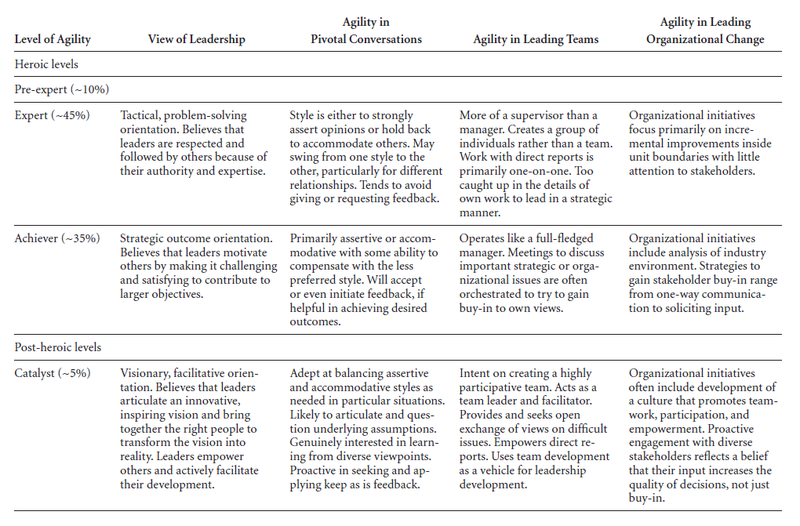 The first part of the book provides an overview of the framework and a good high level illustration of it, by replaying the same dinner conversation, each time with a person at a different stage of leadership agility. 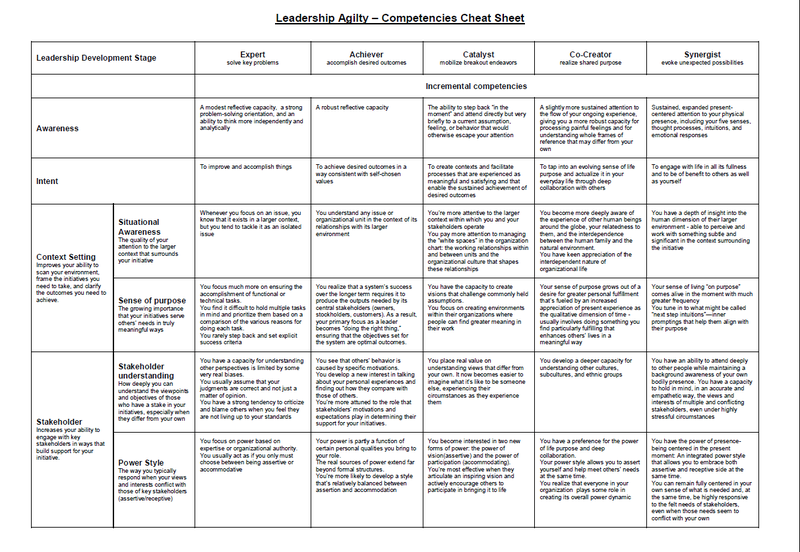 The third part focuses on assessing your own leadership agility and charting a path for improving it. 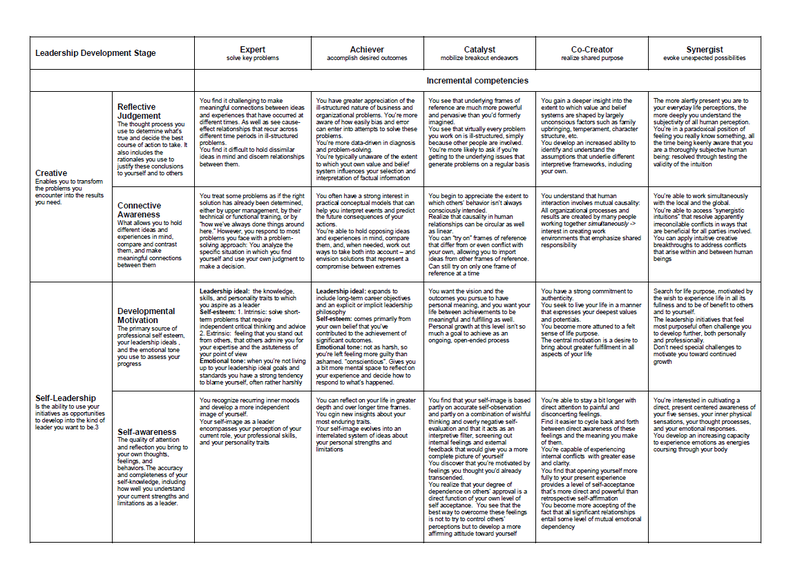 Would you be willing to make your competencies cheat sheet available as a .docx or .txt file? It’s so great but because it’s a .png, it’s a bit hard to read when printed out. I’d so appreciate it…. Hi there, I’ve added a link to a PDF version at the bottom of the post.